I had a metre of denim fabric in my stash -actually it was more like unshaved corduroy- that I planned to make a high-waisted skirt with. But recently I changed my mind and wanted to make a pair of pants with it. I don’t have too many pants in my wardrobe. Maybe one or two that I rarely wear and a couple of shorts. I realized that making a pair of pants with a good fit is not easy, so I always have lots of doubt when I was about to start. But practice will make perfect! 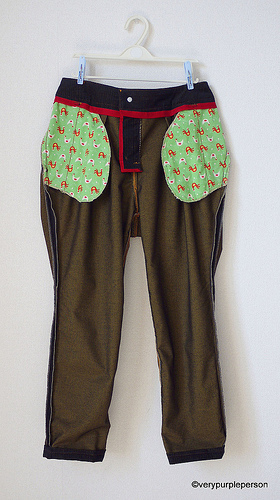 I have made lots of pants for my husband and Sidra, so what’s keeping me from making them for myself ? 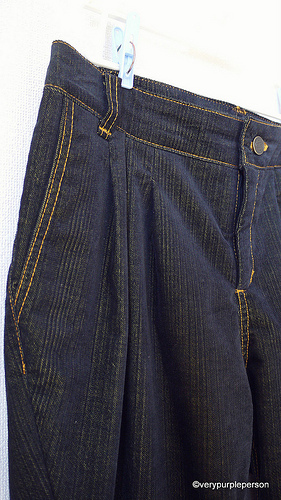 I promised myself that from now on, I will make more pants for me. 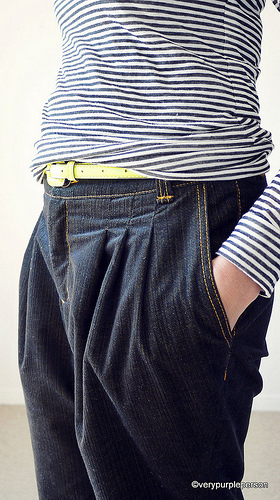 The pattern is Evan from Tamanegi-Kobo, a Japanese pattern shop. I usually use Google translate extension on Chrome to browse Japanese sites. The translation is not that good but enough to make me understand what’s going on. From what I understand, Evan is ankle-length pants. 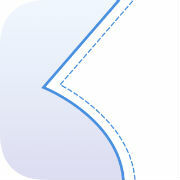 Lots of ease around waist and hip, narrowed down toward the hem. The lines are more like Sarouel pants. The rest I didn’t understand but the pictures of the pants are enough. You can see that it sits a bit below the waist and there is obviously pleats on the front. As the pants have lots of ease, I figured that very smooth fitting wouldn’t be necessary. 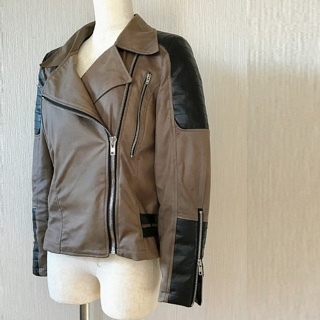 Bought! 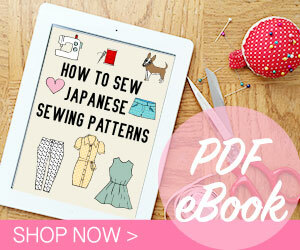 This is not the first time I bought PDF pattern from Tamanegi-Kobo. The instructions are naturally in Japanese, but it has lots of pictures and diagrams that are clear enough. I also love the guessing work (maybe I’m adventurous…) so it was never a problem. I noticed that several other patterns already have instructions in English, so it would be easier if you want to try. 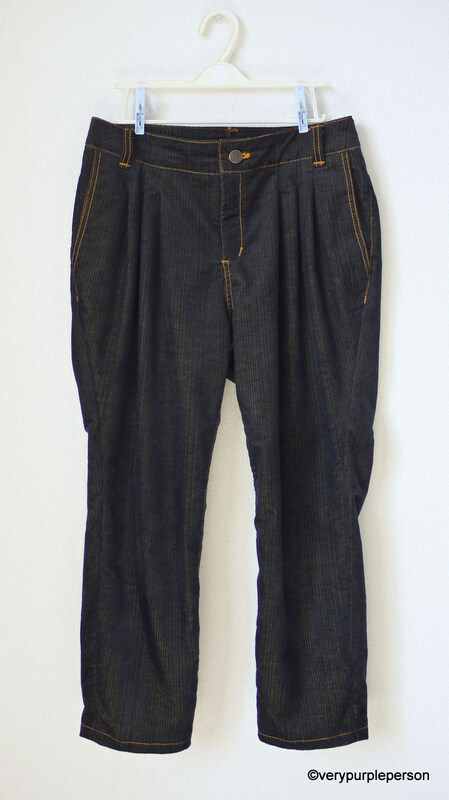 I checked their size chart and decided that I should make the pants in size 38 on waist and size 36 on hip. Usually my waist and hip are in the same size for European pattern. Does that mean that my waist is too thick by Japanese standard? 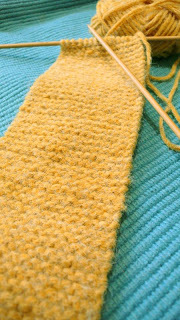 The fabric is not very thick so sewing them was quite easy. One metre of the fabric is just enough for a pair of pants for me. I had to piece the back waistband and used other fabric for pocket linings though. I used thicker thread in rust color for topstitching. 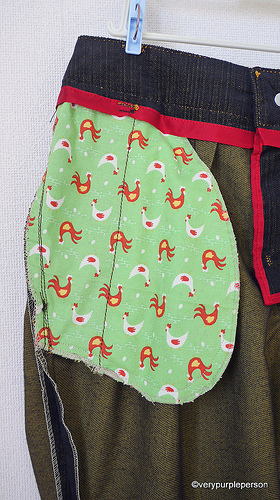 The pocket linings are green cotton with chicken pattern, so fun! The zipper fly area and waistband facing are finished with red seam bindings. I didn’t like metal zipper because I feel that they left a particular of metal (of course!) smell when I touch them, so I used regular plastic zipper. If I were to make them again, I would do a little bit swayback adjustment and maybe make the waistband wider, but the pants are very comfortable as they are. I can see that I will be wearing them a lot! 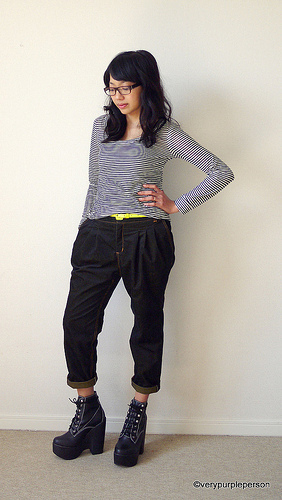 Pattern is Evan by Tamanegi Kobo (PDF), size 38 on waist and 36 on hip.